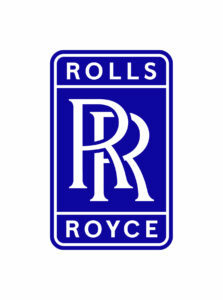 Following a kind donation by Rolls-Royce for pupils from Ablaze schools to have the exciting opportunity to go to some children’s shows at the Hippodrome Theatre, we are delighted to report that the first block of theatre trips went incredibly well, with all pupils thoroughly enjoying & benefitting from the experience. A lot of these pupils have never been to the theatre before, so this exciting treat for them made them feel very special. We received some fantastic feedback and photographs from the schools about their visits. 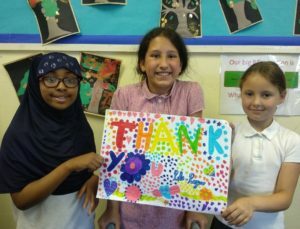 “Thank You to Ablaze and Rolls Royce for their kind donation of theatre tickets that were used by pupils and families at our school. 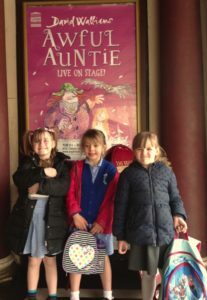 It was an amazing experience for the pupils and they said they felt very ‘posh’ sitting in the box watching the performance of Awful Auntie. For those lucky young children that attended, it was their first experience of a theatre play and all the experiences that go with it: lighting, set design, seating, architecture, sense of occasion, and the ice cream at the interval was an additional delightful surprise for them!